DOST-VII Assistant Regional Director Engr. Jesus F. Zamora and Silliman University President Dr. Betty Cernol-McCann (center) with DOST NegOr Atty. Gilbert R. Arbon (3rd from left) during the food lab launching. Interested entrepreneurs and food producers in the province can now avail of the quality services offered by a university-based food laboratory. The Department of Science and Technology-Negros Oriental Provincial Science and Technology Center (DOST NegOr PSTC) in cooperation with Silliman University-Nutrition and Dietetics Department (SUNDD) launched the newest food laboratory in Dumaguete City on September 27, 2018. Several food equipment were deployed such as pulverizer, grinder/blender, moisture analyzer, band sealer, vacuum sealer and stainless steel table. The deployment was part of DOST's Grants-in-Aid (GIA) project with Silliman University entitled "Enhancing the Marketability of Locally Manufactured Food Products with Product Development Support from SUNDD Food Lab". The food lab aims to serve the product development needs of local food processing enterprises. There was a product development and packaging clinic after the launching, a session wherein a panel of technical advisers interviewed the owners of selected local food processing enterprises, assessed their products and suggested improvements in both products and packaging. "This project focuses on food product development as an area needing industry-academe-government collaboration. Food processors in the province generally do not do product development as they lack resources. To be more competitive, they need to adopt product differentiation as a marketing strategy", said Atty. Gilbert R. Arbon, Provincial Director of DOST Negros Oriental. 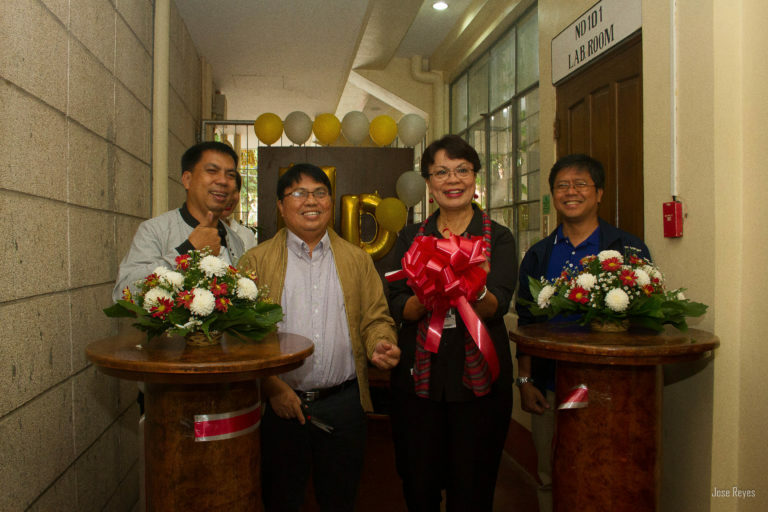 The launching was attended by SU president Dr. Betty Cernol-McCann, DOST-VII Assistant Regional Director Engr. Jesus F. Zamora, SUNDD Chairperson Jin H. Genove, SU Government Affairs Director Michelle A. Naranjo, entrepreneurs, SU faculty/staff and nutrition and dietetics students.